Woodlake, CA is a city that houses many types of garage doors and rolling doors. Our friendly team of garage door experts at Garage Door Repair and Installations Company is prepared to handle almost any job you have for us. We prepare every day by keeping our trucks fully stocked with every possible repair part that could be needed. This allows us to work quickly and get your job done without delay. We know that Woodlake CA has many garage door variations, with our 24 years of experience working on garage doors, we will deal with whatever you need. Keeping our truck inventory full is an important part of our daily schedule. By maintaining a full supply of repair parts, we will never have to halt a job to retrieve a part. Our happy customers regularly tell us how surprised they are by the speedy work we provide. We take our work as seriously as our preparation, so you will get fast, reliable garage door service. Our Woodlake CA customers have called us with a wide variety of garage door needs. While we repair many garage doors throughout the day, we install brand new garage doors as well. We work with only the finest combination of garage door equipment, offering CHI Doors and LiftMaster Garage Door Openers. The garage door repair experts at Garage Door Repair and Installations Company are prepared to service and repair all makes and models. Using our fully stocked trucks, we will solve any problem you may have. Every part, including the cables we bring with us, are the finest available. 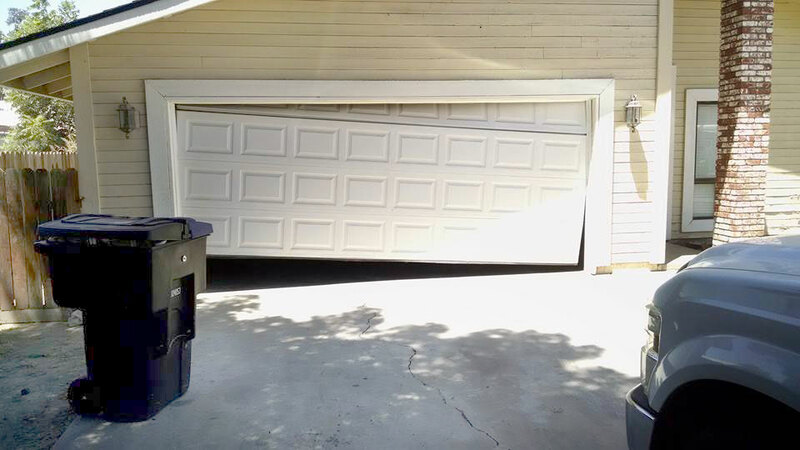 We know each every and customer in Woodlake CA deserves only the best, and that is the only kind of garage door repair service that we provide. When maintaining a garage door in your Woodlake home or business, it can be a common mistake to overlook the springs. Hidden mostly out of the way, the garage door springs play a big part in your garage door working properly. If you have had a spring break, we will be able to replace it for you, as well as diagnose any surrounding issues that caused the undue stress on the spring, so you’ll avoid having to call another garage door repair technician out sooner rather than later. We’ll get the job done right and we offer a 5 Year Warranty on all springs. Get the peace of mind that comes with using a verified, trusted local garage door expert you can rely on. When installing or repairing a garage door opener, it is important to work with a professional like those you can find at Garage Door Repair and Installations Company. A faulty garage door opener can end up creating further damage to your garage door system, and require further repair or even replacement. Trust the experts at Garage Door Repair and Installations Company to install or repair your garage door opener properly. Every visit includes a free LUBE-N-TUNE UP when another service is performed. We are listed on the Veteran Owned Business network, a group of businesses owned by veterans from all United States military services. Over 30,000 strong, we support other veterans and rely on their support as well. When you need a garage door expert in Woodlake CA, turn to Garage Door Repair and Installations Company. In many cases, we can offer Same Day Service, as well as 24 Hour Emergency Service when your issue just can’t wait. With every job, we provide a prompt, honest service. Get yours today.